I know with my own projects that I’m always on the lookout for great background patterns and designs. 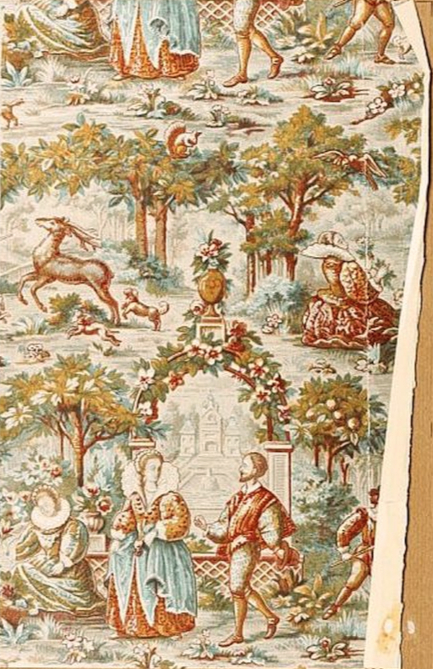 What would be a better source for vintage designs than old wallpaper catalogs? As anyone who has worked with a wallpaper sample book knows, not every pattern is shown in its entirety – i.e. they don’t include the entire repeat of the pattern. I still suspect many mixed media artists could effectively use these vintage wallpaper designs in their art. They can use the papers as they currently are, use a color wash to change the colors, or use bits and pieces cut from the overall design. All of the wallpaper and background designs shared here are in the public domain under American copyright law. 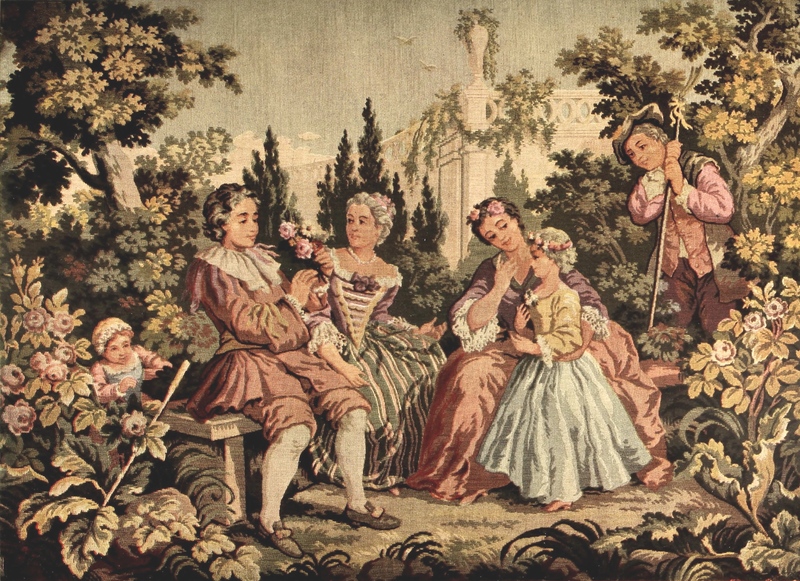 Vintage garden tapestry featuring four adults and two children surrounded by pink flowers and greenery. Large image suitable for cards and backgrounds. Vintage French wallpaper design. 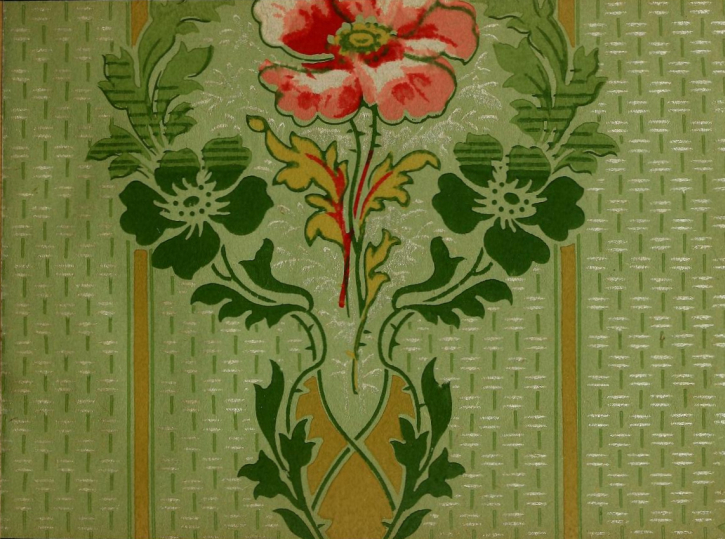 Was included in a book about Old Time Wallpapers from 1905. Bright golden colors with turquoise, reds and pinks. 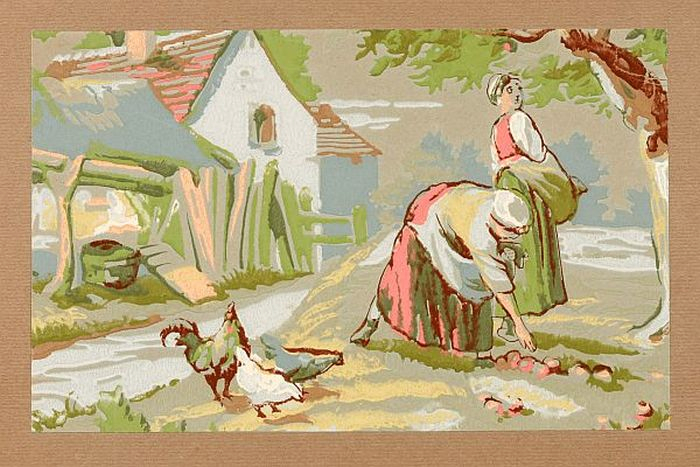 Vintage rural scene wallpaper. 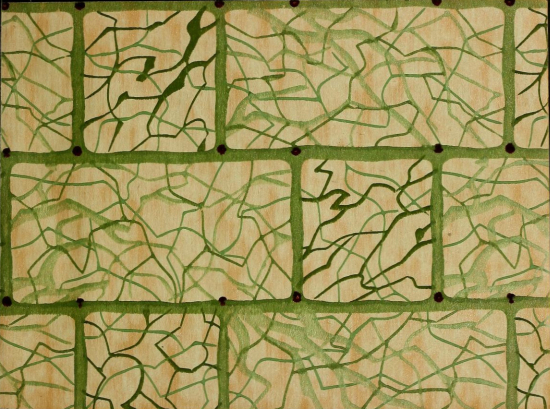 Tapestry-like design in 11 colors – pink, green, rust, brown, white, blue, yellow and shades in between. 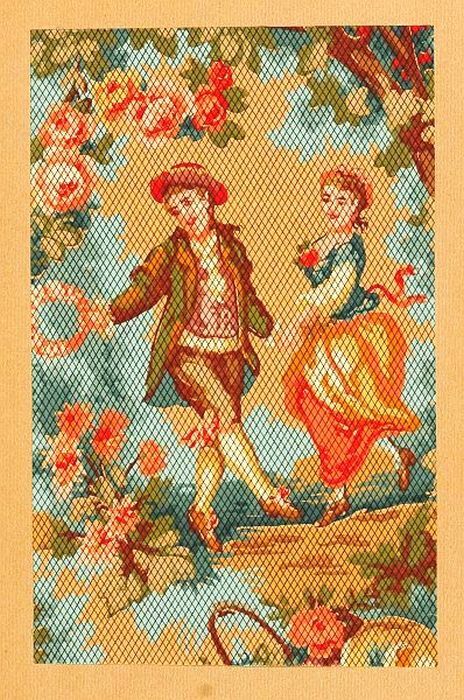 Vintage English figure wallpaper pattern sample. 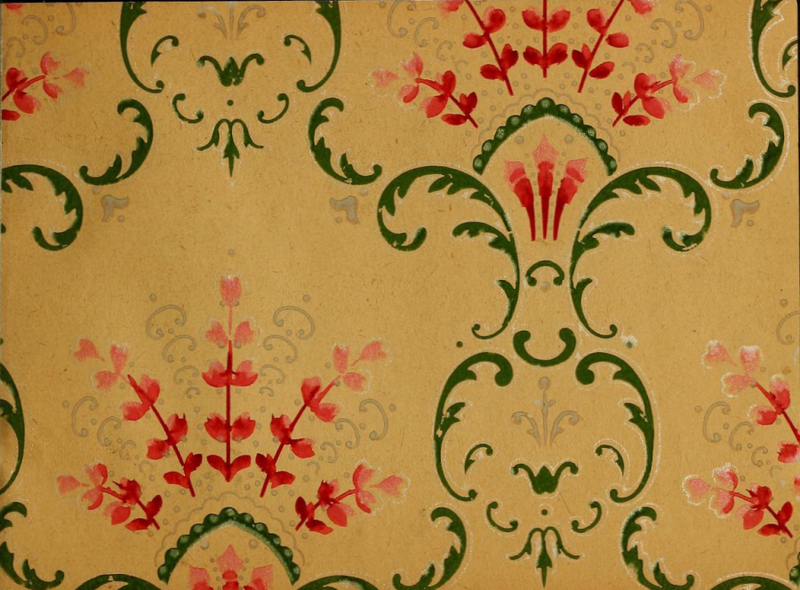 This wallpaper image dates from at least 1905 when it was included on a book all about wallpaper designs. 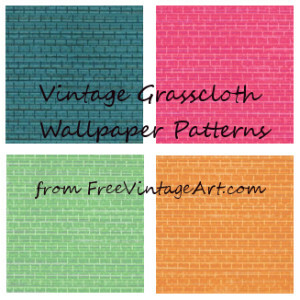 Vintage grasscloth wallpaper design offered for downloading in the original blue, or in pink, green or orange variations. Use them individually or as a set. 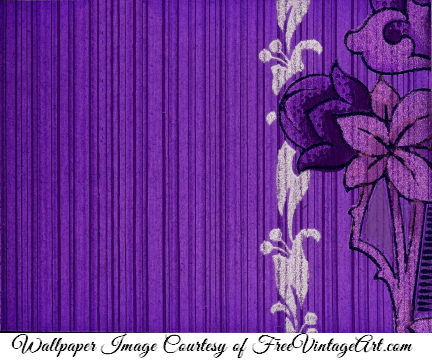 Interesting vintage floral endpaper with flowers, vines and leaves on a striped background. Looks great as is or could easily be colorized. Vintage, public domain wallpaper design that includes a seamless repeating rose pattern offered in several different color variations. Great for backgrounds. 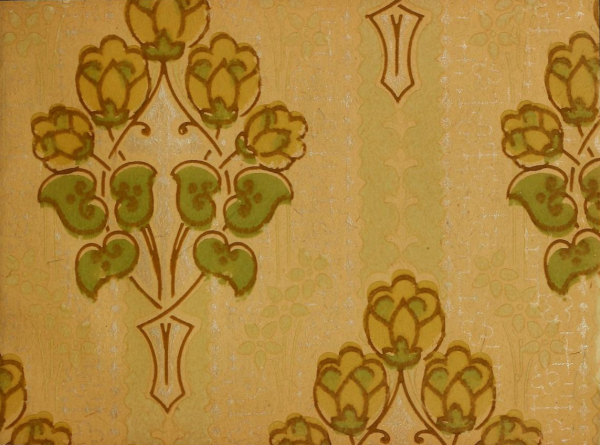 This vintage wallpaper design is from a public domain wallpaper catalog. Download the original in browns and green or our purple version for free. Vintage brick wallpaper pattern from Sears Roebuck & Company in 1900. Use it as we found it or as a base for building your own brick background design. Wild rose wallpaper pattern with a vertical yellow stripe and a basket-weave background that might include a bit of reflective silver – perhaps mica paint. Vintage Sears & Roebuck Company wallpaper pattern from a 1900 catalog. The pattern featured yellow flowers, green leaves and silver accents. Great piece of pink, red and green wallpaper. 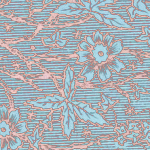 This vintage wallpaper design has a definite repeat but you will have to do your own editing.